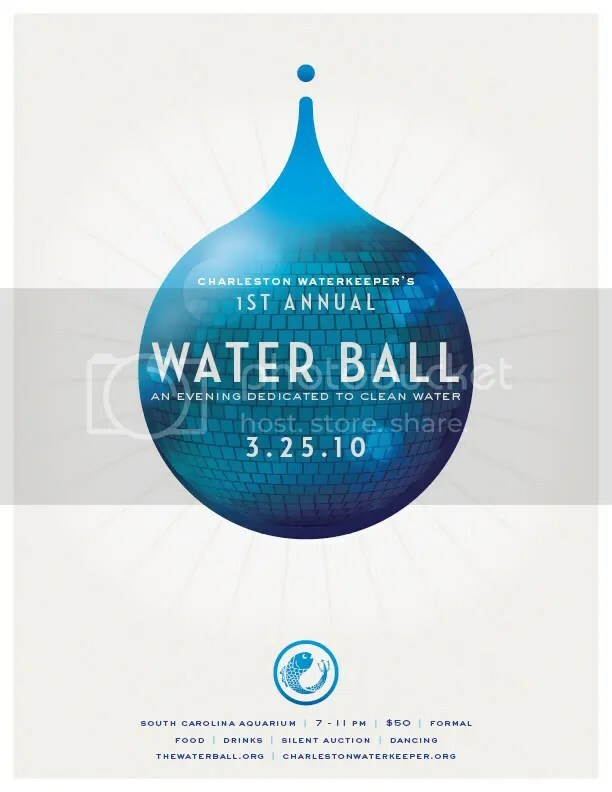 Charleston Waterkeeper announces its First Annual Water Ball at the South Carolina Aquarium on Thursday, March 25th from 7-11pm. Upon entering the aquarium, guests will be greeted by a variety of educational installations and interactive displays as well as food selections and cocktails from local vendors impacted by our waterways. There will be a DJ spinning in the Great Ocean Room and special guest appearances from hometown heroes and individuals within the international Waterkeeper movement. Additionally, a silent auction will feature one of a kind experiences and products from regional and national companies, artists and supporters. Also at the Water Ball, an iPhone application will be unveiled that will allow users to report suspicious activity on the water, receive the latest news from Charleston Waterkeeper, and discover where to fuel up and pump out while enjoying local waterways. This entry was posted on March 8, 2010 at 11:08 am and is filed under Uncategorized with tags charleston charity, charleston events, charleston fundraiser, charleston nonprofit, charleston pollution, Charleston’s waterways, coast brewing, firefly, First Annual Water Ball, Great Ocean Room, South Carolina Aquarium, water ball. charleston waterkeeper, Waterkeeper Alliance. You can follow any responses to this entry through the RSS 2.0 feed. You can leave a response, or trackback from your own site.